Money may not be needed for our existence, but most people think money and freedom are synonymous, so they want money. However, deep down in our cores we want freedom, so it is very important to have a good relationship with money so that you can experience freedom on a spiritual and natural level. Some people have learned how to manifest money and attract abundance without a lot of effort, but most people do not have this experience. Most people are simply not feeling freedom when it comes to finances. There is good news for you, whether you have been working a long time, or just beginning to walk down that path. The journey to financial freedom does not have to take long. 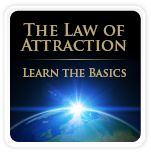 Utilizing the right knowledge, practices, and tools, you can learn to attract abundance and manifest money in a rather short time. A key to this quickness of manifestation is becoming aware that there is a correlation between your thoughts and feelings about the money that does come in and out of your life. Once you recognize this, you can effectively learn to direct your thoughts to a higher frequency when it comes to money, thus accessing the infinite power of the Universe to actually manifest more money and attract abundance. Have you ever heard the phrase, “You get what you think about.”? 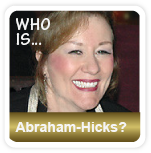 It is a very important concept when it comes to the subject of how to manifest money and attract abundance. Of course, many people think about money all the time but still do not live in financial abundance. This is because of the way they are thinking about money. Do you have positive or negative beliefs about money? First, there is a place of thinking that is from a perspective of plenty: I have plenty of money, I am financially free, I live in financial abundance, etc. In contrast, there is a more negative perspective as well: I don’t have enough money, I’ll never have enough money, I’m tired of not having enough money, I want more money, etc. The first way of thinking comes from a place of positivity and belief. The second perspective is riddled with fear, doubt, disappointment, neediness, etc. The first perspective opens doors for money to flow in. The second perspective repels money away. It is important that you take some time to gauge your thoughts and feelings concerning money. 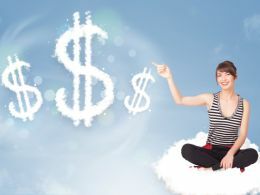 If you are continually seeing things you’d like and thinking, “Oh, that is too expensive for me,” then you are not vibrationally matching up with your desire to allow money to freely flow. If you are feeling disappointment as you think about your desire, it is a good indicator that your thoughts need adjusted. If you want to manifest money and attract abundance, you must go beyond your actual reality and think of yourself and see yourself living from a state of abundance. Feel the joy associated with being completely free! Be ecstatic! Dance around with joy and gratitude flowing freely through you. It is in this type of thinking, feeling, and acting that unlocks poor energy flow in your core, and allows your vibration to increase to the frequency of abundance. You are living in abundance! Can Money Buy Happiness According to Science? How to Clarify Your Dreams and Goals?